Hola, everyone! 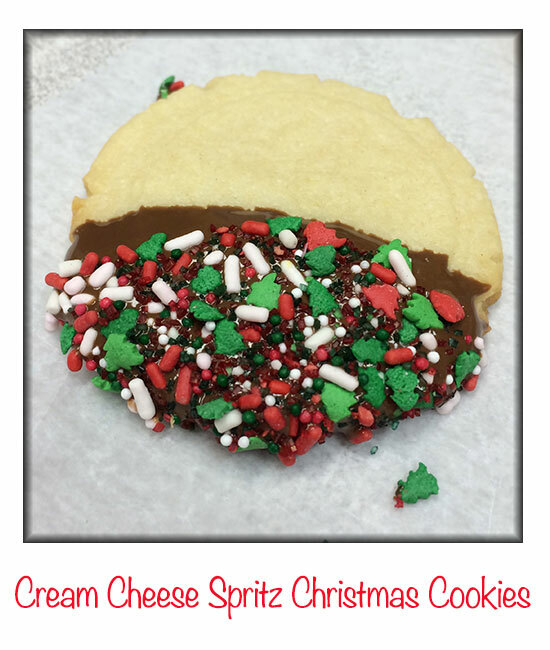 In a rush over here today, but I’m bringing you the ultimate Christmas standard: Spritz Cookies, containing one of my favorite food groups – cream cheese!! You’ve kinda gotta have a cookie press for these, although Katie (great name) from Modly Chic, promises you don’t have to (great name, BTW). But…you should probably get one, because they look so pretty.